Ten years! One-hundred and twenty months. Five-hundred and twenty-one weeks. Three-thousand, six-hundred and fifty days… we’re very excited, can you tell? 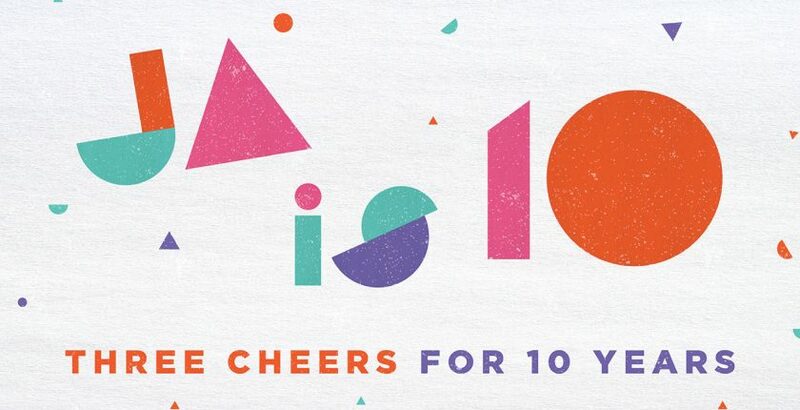 Three Cheers for Ten Years! Our motivation has always been to provide our customers with the best recruitment service available. Ten years, 1,155 clients served and over £1.6 million earned in commission for our staff, we’re confident that our business priorities and work ethic has been the driving force behind our success. Over the last decade we have seen a huge amount of change. In our second year of business we opened a second office, and by the time 2013 came around we were ISO: 9001 accredited and expanding our reach towards London. We’ve gone from four founding members in a cramped Leicester flat to seventy-two highly trained employees occupying three offices. It’s mind blowing, and we are incredibly proud. Throughout the years the James Andrews family has seen some momentous occasions. From workout madness all in the name of charity, to first-born children (none of them are called James Andrews as yet, we’re still waiting). It’s been a wild ride with some really inspiring people. According to Bloomberg, most businesses fail in the first eighteen months, but with our great team of people we’ve surpassed our hopes and made it to our ten year milestone. We’ll be raising a glass (or two, or three…) at an anniversary bash in Birmingham for our fantastic staff on Saturday 27th April. After all, it’s the people that make a business and we can’t thank our people enough for their dedication to James Andrews. For now we’re going to enjoy the moment, keep doing what we’re doing and here’s to the next ten years.